2019’s Bee School is now fully enrolled. Our next Bee School will begin in January 2020. 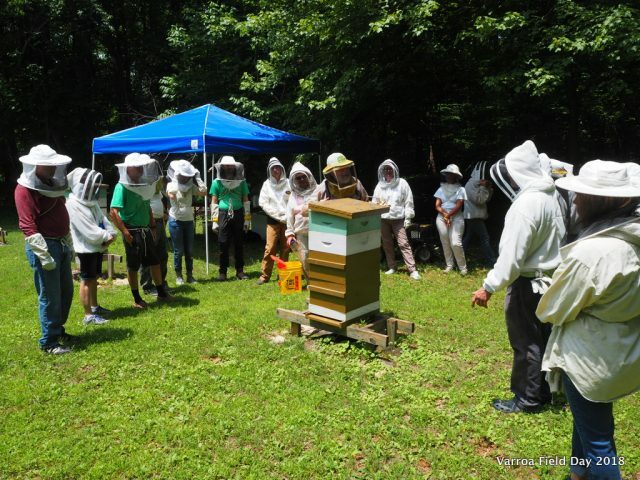 Information about other beekeeping schools can be found on the NC State Beekeepers website. Enrollment for OCBA’s 2020 Bee School will open in October 2019. Are you interested in beekeeping but don’t know where to begin? Are you a beekeeper who is interested in improving your beekeeping skills? Whatever your level of interest, Orange County Beekeepers Association’s Bee School is here for you. OCBA’s Bee School has been fully enrolled every year for the past several years. Enrollment is limited to 75 and classes fill up quickly. Knowledgeable and experienced instructors cover the history of beekeeping, essential beekeeping skills, monitoring and treatment of pests and diseases and seasonal hive management. At the end of the course, you will be prepared to begin beekeeping. Two field day events are offered. The first will teach participants how to assemble hive components. A second hands-on, in-hive, field day will be held where specific beekeeping skills discussed in the classroom will be demonstrated. This course focuses on beekeeping using generally accepted beekeeping practices using traditional Langstroth style beehives. Classes are approximately 2 hours long. *Note: The order of lectures may change in the event of weather delays or to accommodate instructor’s schedules.